Home SEO revolutionary project WORDCOIN! 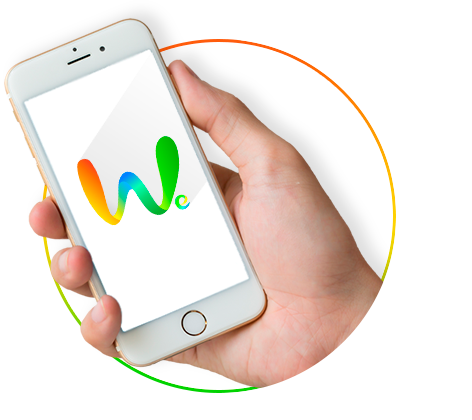 WORDCOIN–single cryptocurrency, which can be used to carry out the transactions at the WE platform. WE will become the world’s largest, blockchains-powered copywriting platform. Using thissystem, the Customer will be able to order high-quality materials, while benefiting from assurances of smart contracts. The Customer will be able to order a wide range of services,including reviews, articles, press releases, booklets, etc. After he has selected the copywriter with the desired ratings and aligned with the same the price and terms for the order, the Customer will receive the fully completed job in the timely manner, approve the same, and transfer to the Contractor the WORDCOIN-denominated remuneration amount, stipulated by the contract. After that, the parties to the deal will be able to assign the ratings to each other’s accounts. WE will become the world’s largest blockchains-powered translations platform. The Customer will be able to obtain the inexpensive and expedient translation services for their website, including subsequent proofreading by a native speaker. For instance, they will need only 15 minutes to order the translation of the website into 50 languages. This is a completely new approach to the market in these services that is driven by decentralization and will help break down the borders between countries. At WE, the Customer will be able to order the services for SEO optimization and website promotion, as well as any other webpages that are controlled by the same and contain the information about his company or the product, propelling them into the top positions in search engine results. Using the platform, the Customer will be able to manage the behavioral factors,place backlinks from the webpages of popular site, leverage social media accounts and receive sustainable and high-quality traffic. Using the intuitive interface, the Customer will be able to look through the report on progress from the Contractor and approve the deliverables. UNIQUE SERVICE, PROVIDED AT THE PLATFORM–“ORM REPUTATION MANAGEMENT”. The first three above-specified lines of work–copywriting, translations and SEO optimization–deliver a multiplicative effect and improved efficiencies in PR, when augmented by one other component – a suite of well-promoted websites, at which the Customer can rent pages and publish information. assigns tasks for purchasing of backlinks from highly-rated websites, social media accounts,orders clicks, likes and other SEO-related assets. The WE platform is a well-designed system that was created, leveraging the broad-based record of the team on this market. In the fast-changing world, we clearly see that in the near future most of the services will be provided at the decentralized platforms, powered by blockchains and taking out most of the agent’s fees. This will enable to make the market relations more simple, cheaper, faster and more secured. It’s useless to try and prevent these processes from rolling out. Conversely, businesses need to ride this wave and promote a wider expansion of such platforms. Going forward, WE will improve and get new services. In addition, we are set to launch other online — based services, payable only in WORDCOIN, which will push the prices to the new highs. We are on the verge of the new era and it’s great that we can make a difference in this world and be the first-adopters of these solutions.